Breaking out of conventional moulds, Fabiia UK, is all set to launch its own brand of LED lighting – OHMLUX. Entirely designed and manufactured in Europe, Ohmlux is now prepared to begin catering to architectural projects world-wide. From beginnings as a soft-furnishings company way back in 2006, we have crossed numerous milestones in the last 11 years – Ohmlux is our latest and definitely our most ambitious! The term Ohmlux, came to us after much deliberation and planning to craft a brand name that would be ideal for our premium LED lighting label. The brand name is set to emphasize the premium quality of our LED lamps, which are 100% authentic European made designs with components all sourced from within the European Union. The very first inklings of a plan for this brand came into existence over a year ago. We had been receiving numerous requests for architectural lighting while catering to projects and were extremely intrigued by the impact of architectural lighting in design spaces. Thus, we decided to venture into the field ourselves! The project stemmed from a desire to create and manufacture our own lighting made to the highest quality to be specified into projects. 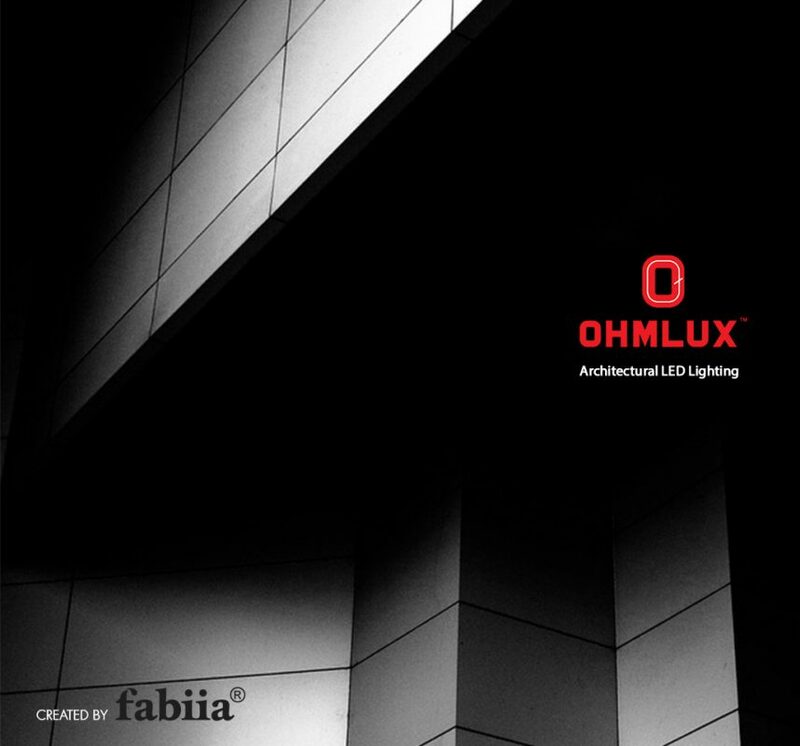 As a parent company, Fabiia highly prizes the human element in design – Ohmlux as a brand emulates these values and above all, prizes itself on its Human Centric Lighting (HCL) practices. HCL is a theory founded on groundwork study, which emphasizes how manufactured lighting systems must factor in the 24-hour internal clock that humans run on, also known as the circadian rhythm. Dimming technologies and Kelvin changing LEDs are lights that factor in these needs, allowing for one to control the light quality in a given space. HCL is core to the inspiration behind Ohmlux, ensuring we place a greater emphasis on the human condition alongside premium-quality lighting. When discussing light, it must be mentioned that LED in itself is a groundbreaking technology set to cut down energy consumption by at least 75% as compared to conventional incandescent light. All Ohmlux lights cater to European LED standards with the CE marking, proving they are one of the longest lasting and most durable products in the market. With applications for LED in indoor – retail, residential, hotel, restaurant, office, industrial and logistics, and outdoor – Urban areas and Street lighting – the possibilities are endless. Catered toward Lighting consultants, retailers, and architects – Ohmlux is ready to be specified into projects and wow the market with its state-of-the-art manufacturing quality, long-lasting LED range and exceptional European design. This entry was posted in Fabiia News, LED Lighting and tagged European LED Lighting, Indoor LED Lighting, led light dubai, led light uae, LED Lights, OHMLUX LED Lighting, Outdoor LED Lighting.